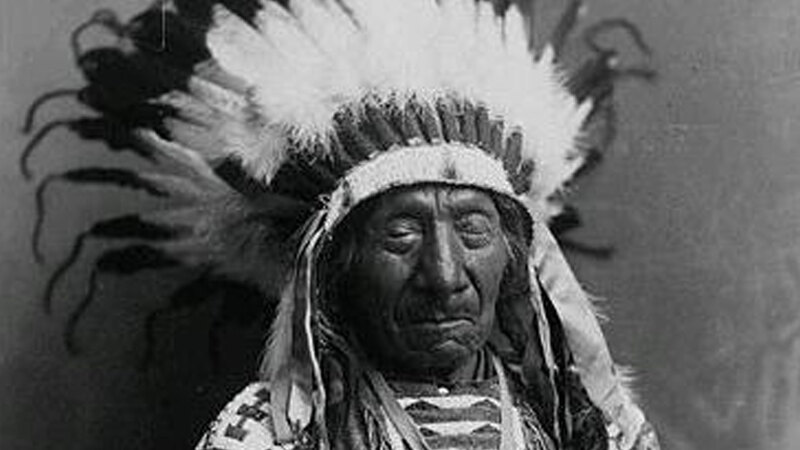 Perhaps one of the most important transition figures in the history of the American Indian, Red Cloud delivered his farewell address to the Lakota people on July 4, 1903. My sun is set. My day is done. Darkness is stealing over me. Before I lie down to rise no more, I will speak to my people. Hear me, my friends, for it is not the time for me to tell you a lie. The Great Spirit made us, the Indians, and gave us this land we live in. He gave us the buffalo, the antelope, and the deer for food and clothing. We moved our hunting grounds from the Minnesota to the Platte and from the Mississippi to the great mountains. No one put bounds on us. We were free as the winds, and like the eagle, heard no man’s commands. I was born a Lakota and I shall die a Lakota. Before the white man came to our country, the Lakotas were a free people. They made their own laws and governed themselves as it seemed good to them. The priests and ministers tell us that we lived wickedly when we lived before the white man came among us. Whose fault was this? We lived right as we were taught it was right. Shall we be punished for this? I am not sure that what these people tell me is true. As a child I was taught the Taku Wakan (Supernatural Powers) were powerful and could do strange things. This was taught me by the wise men and the shamans. They taught me that I could gain their favor by being kind to my people and brave before my enemies; by telling the truth and living straight; by fighting for my people and their hunting grounds. When the Lakotas believed these things they were happy and they died satisfied. What more than this can that which the white man offers us give? Taku Shanskan is familiar with my spirit and when I die I will go with him. Then I will be with my forefathers. If this is not in the heaven of the white man I shall be satisfied. Wi is my father. The Wakan Tanka of the white man has overcome him. But I shall remain true to him. Shadows are long and dark before me. I shall soon lie down to rise no more. While my spirit is with my body the smoke of my breath shall be towards the Sun for he knows all things and knows that I am still true to him.